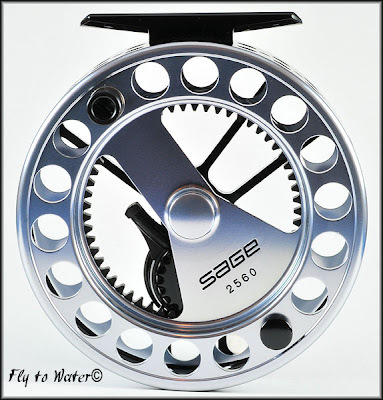 One of the great products I’ve been using for the past few seasons is the Sage 2560 fly reel. 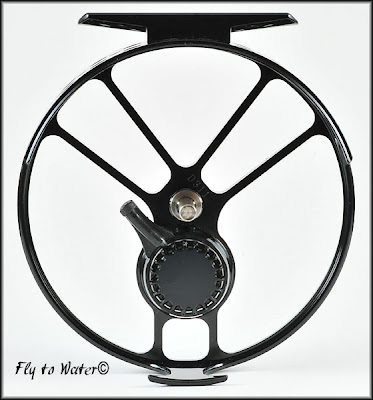 This reel is so light weight (4 7/8 oz) that it feels perfectly balanced on 4-7 weight rods. It seems unbelievable, but my Sage SLT 9’ for a 4wt has the perfect center of gravity with the 2560, as does my Z-Axis 9.5’ for a 7wt. This allows me a great deal of flexibility by using the same body with four different rod sizes. 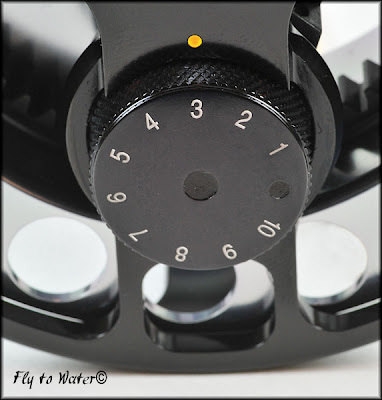 The numbered drag is so great that it’s a bit of a curiosity that more reel makers do not follow suit. You can select the exact settings you know will work for any particular application, and it is always repeatable. The spool attaches to the body by means of an O-ring seal, which keeps out salt, debris, and water equally well. Changing from right to left-handed retrieve is easy, and is accomplished by simply inverting a bearing nut underneath the drag gear (which can be removed with no tools). The arbor of the 2560 is extremely large, and allows for very fast line retrieves. Again, for a reel of this weight its dimensions are remarkable. The one minor complaint I have about the 2560 is simply that the O-ring tends to change elasticity with temperature fluctuations. When it is very cold, removing the spool requires a lot of finger strength if you need to change lines. The reason I chose to blog about this little gem is that the model is being discontinued by Sage for 2009, and this high-end reel that retailed for over $400 can now be had for half price! Check out http://www.mrfc.com/ and go to “Product Search” if you would like one. 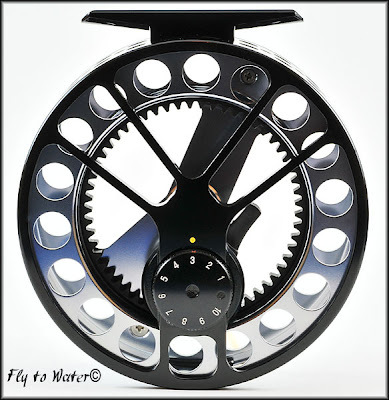 Select the line item for “Clearance Fly Reels.” The entire series is available, from the 2540 through the 2580.